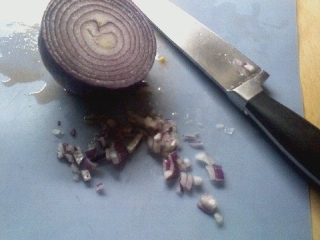 One of the best things in the world, at least to me, is when I find myself cooking in someone else’s kitchen. “Why?” you may ask, and my answer is simple: creativity. Their pantry is not your pantry, their fridge is not your fridge, and ultimately, their grocery choices are not your grocery choices. The result is that you have to scan over everything and come up with something new! 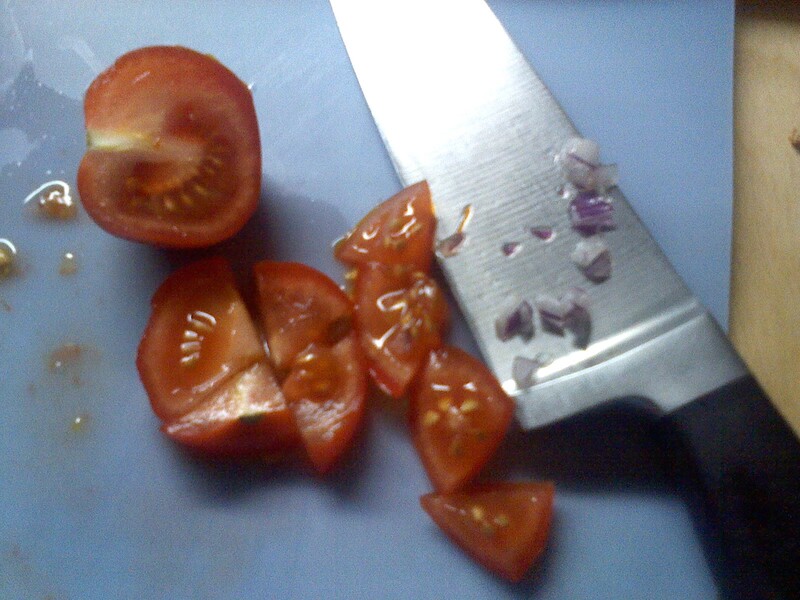 I started with fresh tomatoes and red onions (disclaimer: if she had green onions, I would have totally preferred to use them instead of the red onion….but the red onion was a perfectly satisfactory substitute). 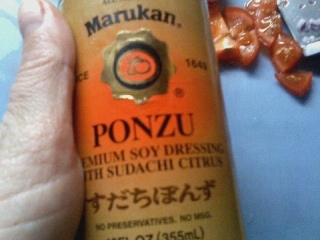 Ponzu is a lovely citrus enhanced soy sauce that is a heavenly pairing with Albacore tuna….so, I knew that I had to use it in my rice. 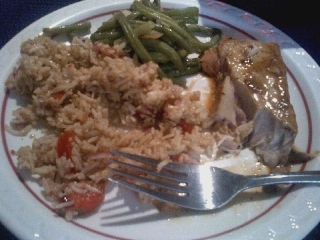 Now it was time to add the rice! With a gentle hand, I fluffed and mixed all my ingredients together. 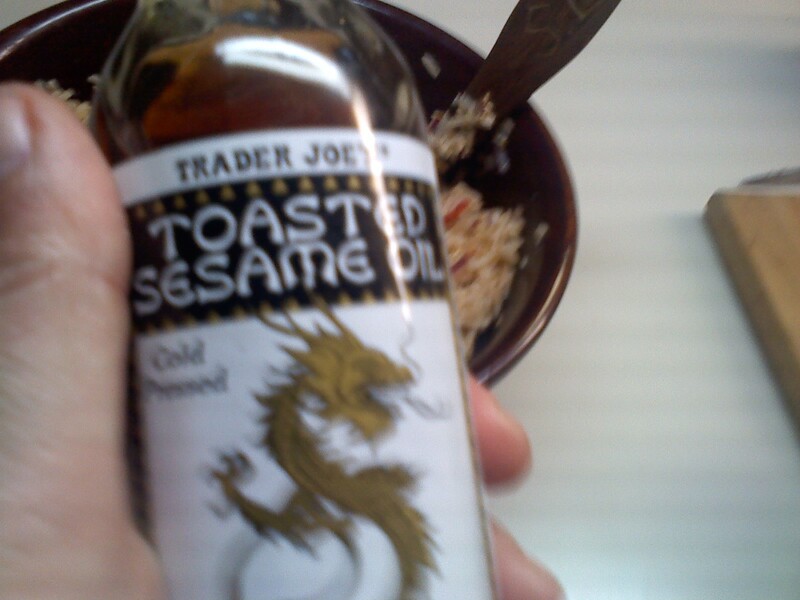 It was such a delicious pairing with the seared Albacore tuna, left pink on the interior (YUM). I hope you give this easy recipe a try! 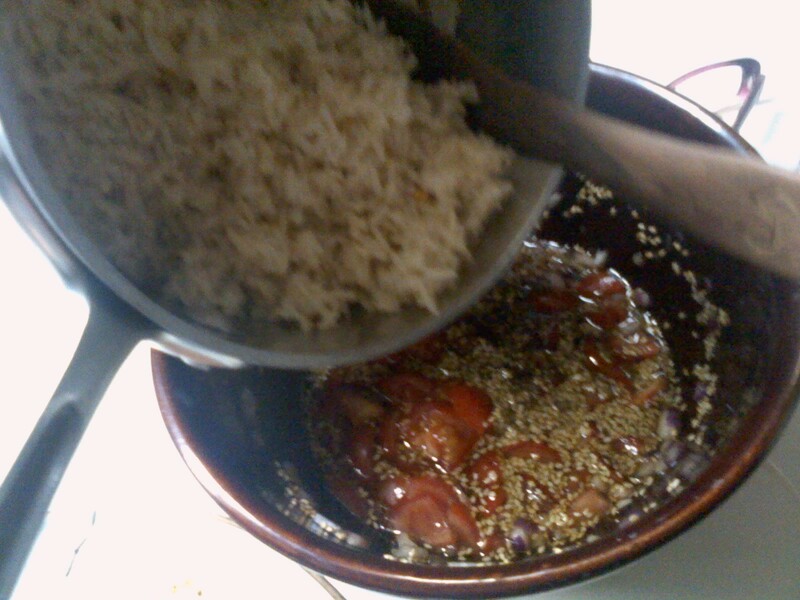 Place the rice and water in a medium pot, bring to boil, cover and simmer til cooked (probably near 15-20 minutes). 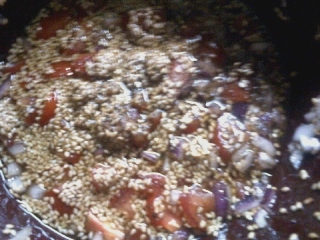 Chop the tomatoes and onion and toss into a heat resistant bowl (aka ceramic). Add all the remaining ingredients into the bowl. 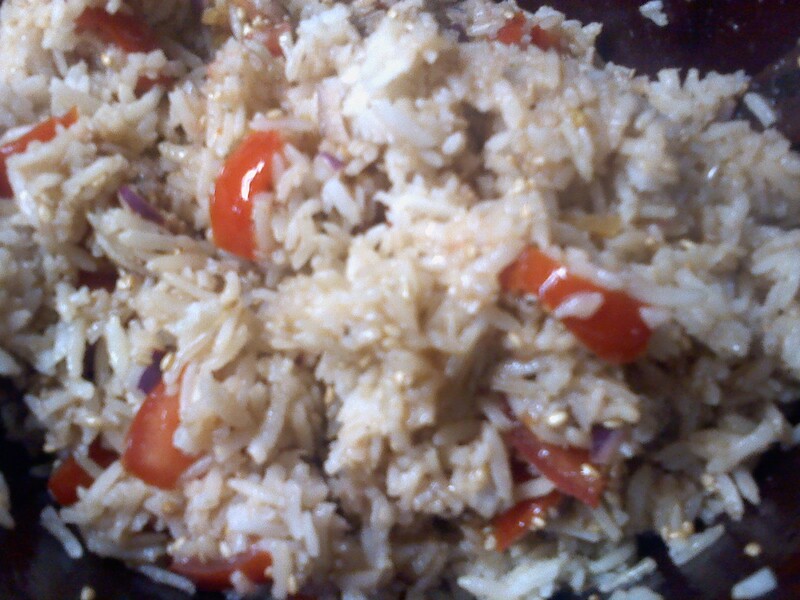 When rice is done, add the hot rice right into the bowl with the rest of the ingredients. Toss gently and serve….great hot, warm or at room temperature.